Static GK is an integral part of the general awareness section. Questions related to bird sanctuaries in India are common in the general awareness section of Bank and Government exams like UPSC CSE, SSC, RBI Grade B Exams and more. In competitive exams, as little as 1 mark can make a lot of difference. 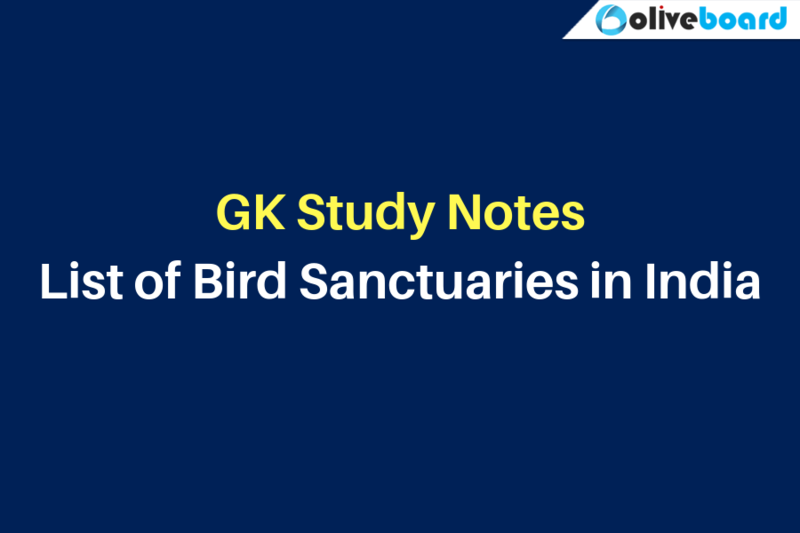 Therefore, we bring to you the list of Bird Sanctuaries in India for GK preparation. This post is brought to you by Oliveboard, an online exam preparation platform for government and banking exams. Practice a Free UPSC Test to start preparing for UPSC 2019! great work sir.. There will be definitely a question from bird sanctuaries in india. This topic is mandatory to read for civils prelims. This post has greatly helped me in comparing my notes and checked if anything is missed. bird sanctuaries mentioned under himachal pradesh i.e attiveri and so on are sanctuaries in karnataka. Please verify this information and provide the corrected list. thank you.